Have you ever located a plant in the absolute wrong place for its needs? Come on; be honest. That sun-loving plant that was mistakenly located in heavy shade, its narrow, leafless, woody stems reaching for sun? Or the shade-loving plant that was just wilting in full sun in the middle of the lawn? These are common rookie mistakes for inexperienced DIYers. Not only is it sad to see a beautiful plant deteriorate, but it's a painful hit to the pocketbook when your plant purchase fades away. Make these gardening goofs a thing of the past with this advice from the pros. Photo courtesy of Lambert Landscape Company, Dallas, TX. You may see a tag on a plant at a garden center that reads "part to full shade." What does that mean, exactly? Typically, light shade refers to portions of the yard that get (on average) between 5 to 10 hours of sunlight. In a suburban yard, you'll often see this right where the trees start to shade the lawn. Grass generally does pretty well in these areas. Partial shade generally means your plants see less than five hours of sun each day. You're closer to the trees, and grass gets thinner as the plants are competing with the trees for light, water, and nutrients. Full shade means your plants receive less than an hour of direct sun, but they may still see some light filtering through the trees. If grass is present, it's probably thin and patchy and (depending where in the country you are) it may be mixed with moss. Deep shade means no sun reaches the ground. Think about a forest, or more relatable, the shady side yard between two large homes. Most good nurseries and garden centers group plants by their shade or sun needs. After all, plants still have the same needs when they're in pots as they do in the ground. You can get most information you need right from the tag on the plant, although know that plants may require more shade the farther south you are. Whether you're buying from a garden center or you're trying to work with what you have, local information is the most useful. Besides the tag, your local experts can help you. Your landscape professional, a garden center employee, or a county extension agent or volunteer can help you with proper material selections. If part of your yard is sunny and part is shady, you certainly don't want it to look like there are two totally different landscapes happening within a short distance of one another. There are two ways to tie everything together. Unifying elements are simple elements that can tie disparate areas of your landscape together. These can be natural, like trees or shrubs that tolerate a wide array of shade and sun conditions or they can be offered through hardscape. From a simple stepping stone path, to a cobblestone border, to repeating trellis panels, anything that shows the two spaces are part of a whole can be key for creating a cohesive landscape. Transition plantings. There are a few shade plants that are extremely intolerant of sun (and vice versa), but there are many more plants that will tolerate a range of conditions. This allows you to have the sunny parts of the beds transition from full sun plants to part sun, to part shade, to full shade. If you echo the shapes and groupings of plants from one type to another, that creates one more unifying element and ties the plantings together! So there you have it: 1) understand the conditions; 2) pick the right plants; and 3) use good design choices to make the most of your shade and sun areas. 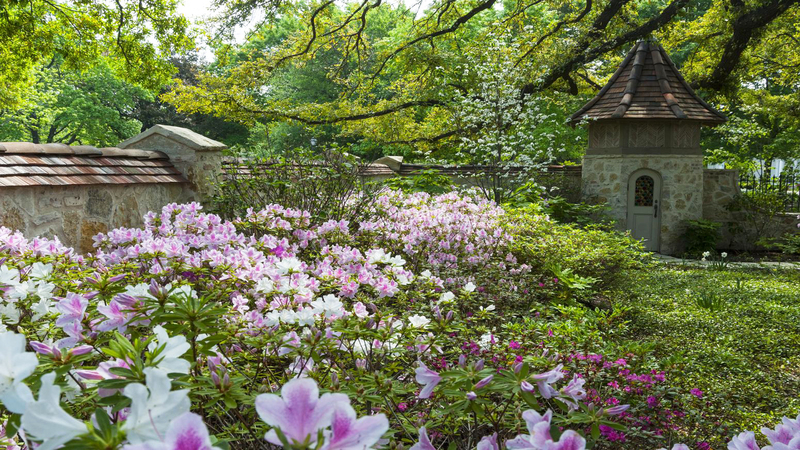 Sure, there may still be some trial and error, but armed with the advice of landscape professionals you have the fundamental tools to help ensure the right plant is assigned the right place in your landscape. For more planting advice and expertise, contact a landscape professional in your area.